A village guard was slightly wounded in a PKK terror attack in southeastern Turkey on Wednesday, the local governorate said. In a statement, Batman Governor's Office said a village guard was injured in Kozluk district when an improvised explosive device, planted on the road by PKK terrorists, detonated. The injured was transferred to Kozluk State Hospital. An operation was launched to arrest the terrorists, the statement added. Supporters of the terrorist PYD/PKK wrote threatening messages on the walls of a mosque in southern Germany, according to a Turkish deputy who grew up in Germany.The Erdmannhausen Mosque in the state of Baden-Wurttemberg, run by the Turkish-Islamic Community National View (IGMG), was the target of the attack.On social media, Mustafa Yeneroglu, a MP of the ruling Justice and Development (AK) Party, decried the threatening vandalism, calling on the German government and security forces to show “zero tolerance” for such attacks.The walls were spray-painted with the word "revenge," as shown in Yeneroglu's Twitter posting, and the mosque suffered other damage.The PYD/PKK terrorist group and far-left groups have claimed responsibility for dozens of attacks since the Jan. 20 launch of the Turkish-led Operation Olive Branch in Afrin, northwestern Syria against YPG/PKK-Daesh terrorists.In most of the incidents, German police have failed to arrest the perpetrators.The PKK has been banned in Germany since 1993, but it remains active, with nearly 14,000 followers in the country.Turkish army finds new PKK/PYD munition depot in AfrinAnkara has long criticized Berlin for not taking serious measures against the PKK, which uses the country as a platform for their fundraising, recruitment, and propaganda activities.Germany has a three million-strong Turkish community, many of whom are second- and third-generation German-born citizens whose Turkish grandparents moved to the country as “guest workers” during the 1960s.Yeneroglu's family moved to Germany when he was a year old. He has dual Turkish-German citizenship. Turkish military’s airstrikes on Wednesday “neutralized” two PKK terrorists in the eastern part of the country, a security source said.Turkish authorities often use the word "neutralized" in their statements to imply that the terrorists in question were either killed, captured or surrendered.After three other terrorists were neutralized on Tuesday in a drone strike in Siirt province’s Mt. 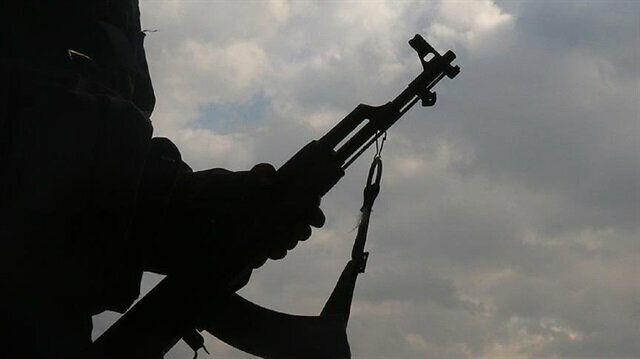 Tandir region, two more were neutralized on Wednesday, said the source, who spoke on condition of anonymity due to restrictions on speaking to the media.The source added that the operation is still ongoing.Listed as a terrorist organization by Turkey, the U.S. and the EU, the PKK has waged a wide-ranging terror campaign against the Turkish state since the mid-1980s, in which an estimated 40,000 people have been killed. The Turkish army has found a new ammunition depot used by PKK/PYD terror group during the ongoing Operation Olive Branch in Syria’s Afrin region, the military said Wednesday. In a statement, the Turkish General Staff said Turkish Armed Forces units have been making efforts to search and destroy improvised explosives and mines planted by the terrorists.As part of its efforts, the army found a new ammunition depot in the region.Turkish military shared photos of the depot and ammunition on social media. 'Turkey's fight against terror continues without pause'Turkish NGO provides iftar to 50,000 Syrians every dayErdoğan: 4,464 terrorists neutralized in Afrin operationThe army was also continuing to support aid efforts carried out by Turkey’s Disaster and Emergency Management Authority (AFAD) and Turkish Red Crescent also known as “Kizilay” in the region.Thanks to the support of Turkish soldiers, the military statement said, AFAD has distributed aid among 6,000 people in 52 residential areas in Afrin over the past week.Turkey on Jan. 20 launched Operation Olive Branch to remove YPG/PKK and Daesh terrorists from northwest of Afrin. On March 18, Turkish troops and Free Syrian Army members liberated the town of Afrin, on the 58th day of the operation.